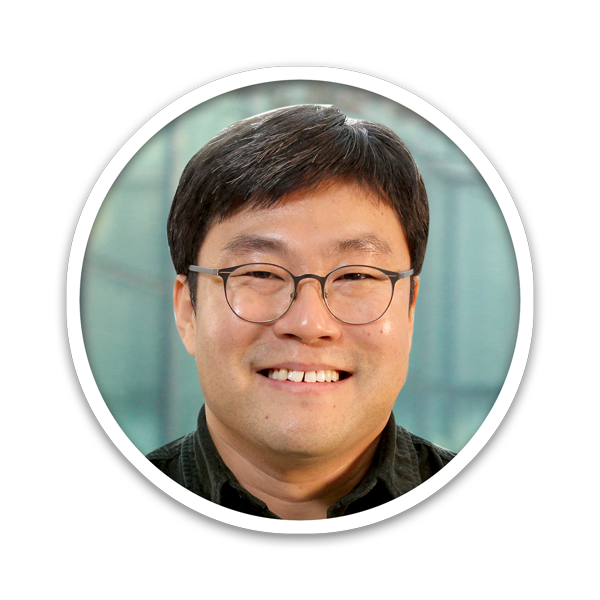 Jungseok Chae is an expert on nanoscale spectroscopies characterizing materials and devices. He studied edge current on graphene devices using scanning gate microscopy and many body physics in graphene using scanning tunneling spectroscopy. He characterized photovoltaic and plasmonic materials at nanoscale using optical spectroscopy combined with atomic force microscope. He also applied a new concept of nano-fabricated force sensors for nanoscale optical spectroscopy enabling increased force sensitivity and real time measurement. As a research fellow at Center for Quantum Nanoscience (QNS) of the Institute for Basic Science (IBS), he has interests in coherent quantum control of atoms and molecules on surfaces and defects on semiconductors using scanning tunneling microscopy and magnetic exchange force microscopy combined with electron spin resonance and optical excitation.